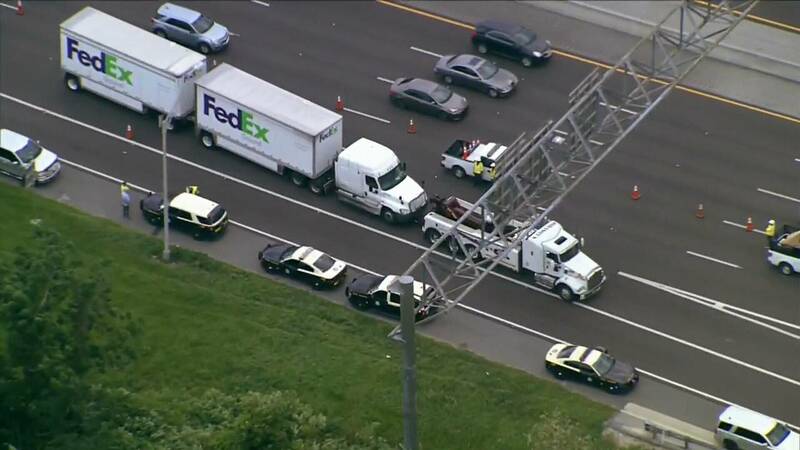 ORLANDO, Fla. - The driver of a FedEx truck is dead Wednesday after a crash on Florida's Turnpike in Orange County, according to the Florida Highway Patrol. Charles Sexton, 61, of Ocala, was driving north behind a flatbed semitrailer that was hauling sod on the Turnpike at mile marker 267 around 12:20 p.m. when the semi malfunctioned, troopers said. The brake drum and a tire tread separated from the semi, which was being driven by a 33-year-old Mount Dora man, according to the Highway Patrol. The brake drum bounced off the ground and went through Sexton's windshield, fatally striking him, according to the crash report. Sexton was taken to Orlando Regional Medical Center, where he later died, the report said. Troopers said the crash is still being investigated. The Highway Patrol did not say whether the driver of the semi will face charges.